The Uniform Product Code, or UPC, is a fast way for sellers to keep track of the items they're selling. Even if the digits aren't printed for people to read, the specially programed scanners can read the series of thick and thin black lines and white spaces to get the 12-digit numeric code for a specific product. Those laser-scanned lines are now so ubiquitous on retail products that some customers might even feel strange if they don't see one. And many retailers won't sell products without them. Thus, many small-business owners get their goods registered with a UPC code to expand their business options, track sales and create a more credible product. Apply with GS1. Though other websites will offer information on product bar codes, all official UPC codes in the United States are registered and managed by a company called GS1. Their website includes all the information to answer your questions about obtaining a UPC code. The online application process involves submitting detailed information about your company and products. Pay fees. The initial membership with GS1 costs $750. An annual fee of $150 is also required, based on your company's annual revenue and types of products. Pricing is based on units of 100 barcodes, so GS1 is clearly designed for the needs of large manufacturers. Buy a Barcode. If the official GS1 process is too intrusive or expensive, another option is to license the use of another company's bar code. This is usually much simpler and less expensive, but because the first digits of a UPC code identify the company, however, scans of your products barcode will generate the other company's name. Some major retail outlets require their suppliers to have their own registered UPCs, however, so this can be a problem. Print. Once assigned a barcode, a company is responsible for putting that code on their product labels themselves. There are numerous barcode-producing software packages available online or in office supply stores. The barcode can be incorporated into the labeling itself or affixed later as a sticker. The UPC assigned by GS1 is recognized globally and can be a great way to introduce a product into new markets or expand an e-commerce business. Each UPC contains information about a product's weight, cost and size, so each product variation will need a separate UPC. If a barcode is only used internally for tracking inventory, a GS1 registered UPC is not necessary. The UPC assigned by GS1 is recognized globally and can be a great way to introduce a product into new markets or expand an e-commerce business. Each UPC contains information about a product's weight, cost and size, so each product variation will need a separate UPC. 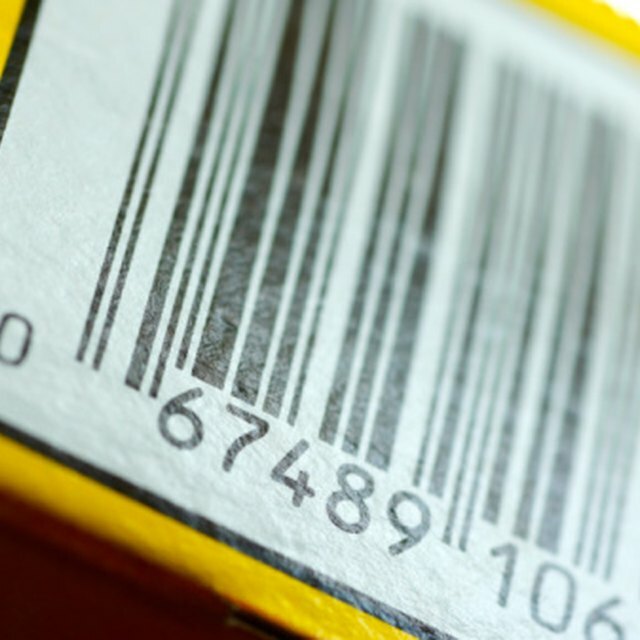 If a barcode is only used internally for tracking inventory, a GS1 registered UPC is not necessary. How Do I...Get a UPC Bar Code?